And I have got to say, I really enjoyed reading this book. It was definitely a fun read, and I like that each chapter is essentially its own book since it allowed me to dive in for a few minutes and then be finished. When I picked the book up the next time, I didn’t need to remember exactly where I was and what had occurred up to that point. Each time was a new story… although, a few of the characters are reoccurring throughout the stories, so it was fun to continue to read about the same people. All-in-all, this is a thumbs-up book, and I would recommend it to anyone that lives to hike (or even just “likes” it). It made me laugh out loud at times, and there were times I worried a little and probably chewed my nails… (although I never cried). 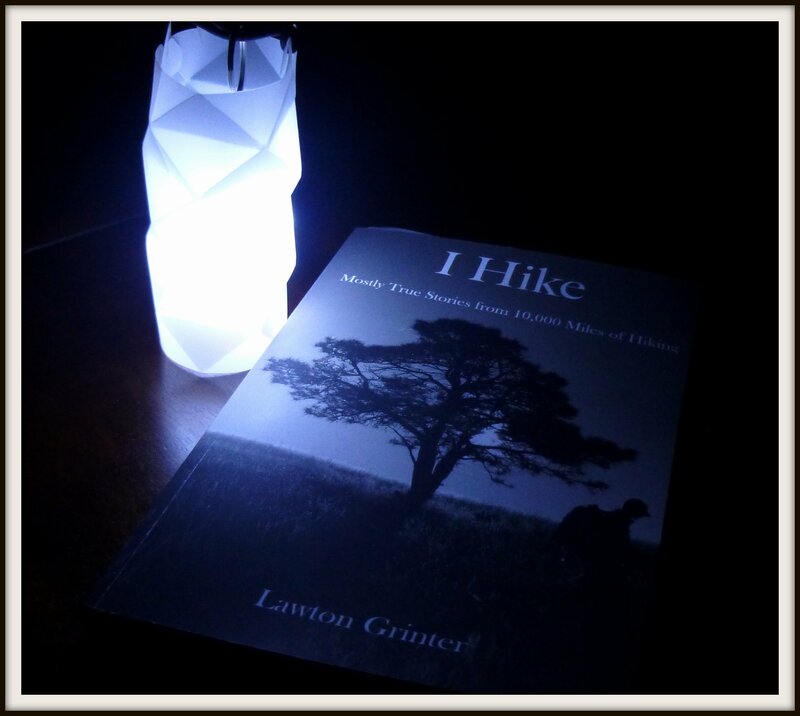 When it comes down to it, this book is based on real trails, real hikers and the things that has happened along long distance hikes. In this respect, this book is also something that a hiker can draw from to use on their own hikes. I actually won an autographed copy of I Hike in a contest hosted by Trail Groove a couple of months back. Saying that, I am not obligated to write about it, but after reading it, I thought it was a good book, so I wanted to help share the word about it. So if you haven’t read it already, I highly suggest you to pick up a copy somewhere and do so! My blog is essentially a record of my hiking career. Through it, I, and others, can see how I have evolved from a heavy weight backpacker, to a smarter, more efficient, lightweight backpacker. Through the use of video, still photos, and of course writing, one can see my progression, as well as check out some of the places I hike, and not to mention some cool, lightweight gear options. For me, my blog is a journal, but for others, I hope that it is an interactive learning tool to aid them in their own progression towards lightweight backpacking. 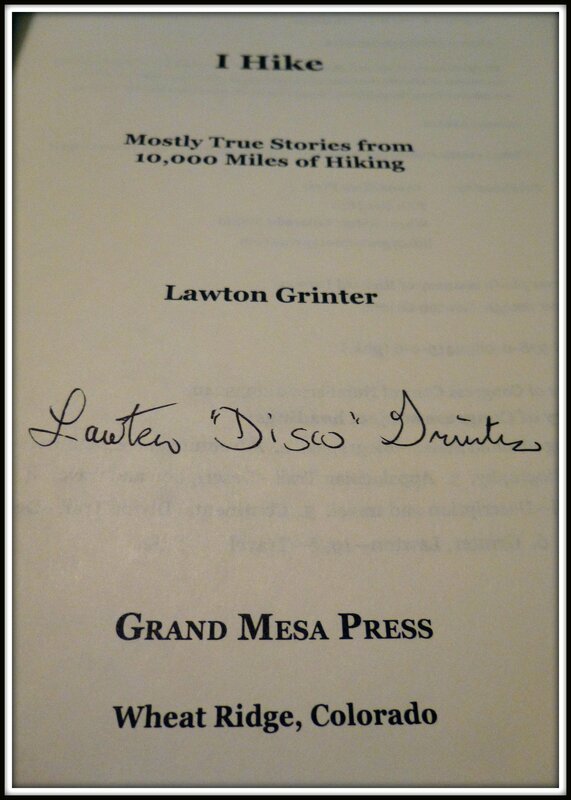 This entry was posted in Books and tagged Backpacking, Books, CDT, Continental Divide Trail, Disco, Hiking, I Hike, Lawton Grinter, Long Trails. Bookmark the permalink. Just finished reading my copy. LOVED it. Awesome, glad you enjoyed it! It really was a great read. Our @blackrockgear down hat collection is growing! These are all from the “Original” series. The black (far left) was my first purchase, almost 8 years ago. Since then it has been worn around home/town/work as well as with me on most all backpacking trips; it’s been worn while hiking, slept in, stuffed inside my sleeping bag and of course down in the bottom of my backpack. It’s only been washed once with soap, however it’s been wet from rain several times too... and it’s still holding up like a champ! The Moroccan Blue on the far right is my newest addition... it just showed up in my mailbox yesterday, and while it doesn’t have that worn, soft, familiar feel that my older black one has (yet), it does have that new, soft, snuggly feel of one that is excited to see some use! The one in the middle was an Easter special that they ran last year and I was able to snag up for my wife. And yeah, she also loves it as much as I do mine! Anywho, I love all of my Black Rock Gear hats, and can highly recommend them, so check them out!! An Alcohol Stove That Burns Rubbing Alcohol?! Alan Rayner's Blog on the Landscape!